With over 11,000 high schools in the United States, Digital Scout is the leader in high school and amateur sports stats tracking software and mobile apps. Digital Scout also powers HS Game Center, the latest Digital Scout website providing live, play-by-play high school sports schedules, standings, and live box scores. Sports Techie, 40 state finalists now know what our sports tech community already knew, Digital Scout is designed for the high school football fan who wants the opportunity to engage with Live stats viewable on mobile devices during the games they are interested in. 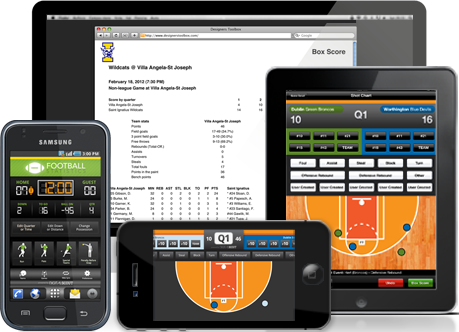 Game data has been delivered to countless mobile devices by Digital Scout all season long. Log on to HSGC this weekend, starting with the Texas 2A-II Championship on Thursday and the Arkansas 4A Championship on Friday night. In 2014, Digital Scout will be offering FREE high school football score access to media partners in each market. Call or email Dan to discuss wrapping up the live scoreboard rights for your sport and region. Enjoy HSGC and happy holidays.